Online casino operators have a number of choices when choosing their jurisdiction from where they would like to operate their licensed Casino, Lottery, Sports Book, Slots, Scratch Card, Bingo, Poker... etc. enterprise. The Åland Islands are a region of Finland that consists of an archipelago lying at the entrance to the Gulf of Bothnia in the Baltic Sea. Gambling tax: in accordance with corporate tax. More information for online gambling licences in Aland Islands. Alberta is located in western Canada, bounded by the provinces of British Columbia to the west and Saskatchewan to the east, the Northwest Territories to the north, and the U.S. state of Montana to the south. Alderney is the most northerly of the Channel Islands. It is part of the Bailiwick of Guernsey, a British Crown dependency. It is 3 miles long and 1.5 miles wide. Officially the Commonwealth of Australia,is a country comprising the mainland of the Australian continent, the island of Tasmania, and numerous smaller islands. It is the smallest self-governing internal territory in Australia, a territory in the south east of Australia, situated within New South Wales. The only city is Canberra, the capital city of Australia. Is a federal republic and a landlocked country in East Central Europe. It is bordered by the Czech Republic and Republic of Germany to the north, Hungary and Slovakia to the east, Slovenia and Italy to the south, and Switzerland and Liechtenstein to the west. Is located on the northeastern coast of Central America. It is the only country in the area where English is the official language and it is bordered on the north by Mexico, to the south and west by Guatemala and to the east by the Caribbean Sea. To read more about the online gambling jurisdiction of Belize click here. Is the westernmost province of Canada, it's capital is Victoria. It is a component of the Pacific Northwest, along with the U.S. states of Oregon and Washington. Situated in South America occupying a long, narrow strip of land between the Andes mountains and the Pacific Ocean. It borders Peru, Bolivia, Argentina and the Drake Passage in the far south. An island nation in the Lesser Antilles region of the Caribbean Sea, south-southeast of Guadeloupe and northwest of Martinique. Officially the Union of the Comoros, it is a sovereign archipelago island nation in the Indian Ocean, located off the eastern coast of Africa, between Mozambique and Madagascar. An island in the southern Caribbean Sea, off the Venezuelan coast. The Country includes the main island plus the small, uninhabited island of "Little Curaçao". It is a constituent country of the Kingdom of the Netherlands and its capital is Willemstad. An island country in the Eastern Mediterranean Sea. It is the third largest and third most populated island in the Mediterranean, and it is a member state of the European Union. Is a landlocked country in Central Europe bordered by Germany, Austria, Slovakia and Poland. Its capital is Prague. The Kingdom of Denmark, is a sovereign state in Northern Europe. Located south-west of Sweden and south of Norway, it also borders Germany to the south. It consists of a peninsula, Jutland, and the Danish archipelago of 407 islands. Is a nation on the island of Hispaniola, a part of the Greater Antilles archipelago in the Caribbean. The western third of the island is occupied by the nation of Haiti. It is the second largest Caribbean nation, after Cuba, and the capital city is Santo Domingo. Officially the Republic of Estonia, a state in the Baltic region of Northern Europe. It is bordered by the Gulf of Finland and the Baltic Sea. Its capital city Tallinn is the largest. Officially a Republic, is a Nordic country situated in the Fennoscandian region of Northern Europe. It is bordered by Sweden, Norway and Russia and is a member of the European Union. Is a unitary semi-presidential republic in Western Europe, with several overseas regions and territories. It extends from the Mediterranean Sea to the English Channel and the North Sea, and from the Rhine to the Atlantic Ocean.It is a member of the European Union. Officially known as the Federal Republic of Germany, its capital and largest city is Berlin. It is the most populated member state in the European Union. Gibraltar is a British overseas territory located on the southern end of the Iberian Peninsula at the entrance of the Mediterranean. 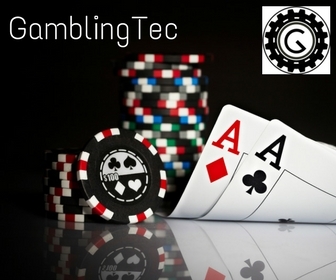 Under the Gambling Act of 2005, all gaming operations in Gibraltar require a license. As such, all remote gambling licenses, including internet and telephone betting, are issued by the respective Licensing Authority in the jurisdiction. Is one of two Special Administrative Regions of the People's Republic of China, it is situated on China's south coast. It is one of the most densely populated areas in the world and a former colony of the British Empire during 1842-1997. A landlocked country in Central Europe bordered by Slovakia, Ukraine, Romania, Serbia, Croatia, Slovenia and Austria. Budapest is the Capital city and it is a member of the European Union and NATO as well as the OECD, the Visegrád Group, and a member of the Schengen Agreement. Officially the Republic of India, in South Asia. Bordered by the Indian Ocean, the Arabian Sea and the Bay of Bengal. It shares land borders with Pakistan ,China, Nepal, Bhutan, Burma and Bangladesh. Home to historic trade routes and vast empires, the Indian subcontinent has identified with its commercial and cultural wealth for much of its long history. An island to the north-west of continental Europe separated from Great Britain by the Irish Sea. Politically, it is divided between the Republic of Ireland, a member of the EU, and Northern Ireland, a part of the United Kingdom. The Isle of Man, otherwise known simply as Mann, is a self-governing British Crown Dependency, located in the Irish Sea between the islands of Great Britain and Ireland within the British Isles. Officially the Italian Republic bordering France, Switzerland, Austria, Slovenia along the Alps and to the south the Mediterranean Sea, its capital city is Rome. San Marino and the Vatican City are independent states within Italy, while Campione d'Italia is an Italian exclave within Switzerland. Island country situated in the Caribbean Sea. The island is located south of Cuba and west of Hispaniola. It was once Spanish owned and known as Santiago, in 1655 it came under British rule and achieved full independence from the United Kingdom on 6 August 1962. Traditionally home of the Mohawk nation on the south shore of the St. Lawrence River in Quebec, Canada, across from Montreal. The area has been under French and British influence. Known as the Republic of Kalmykia is a federal subject of Russia and is the only Buddhist region in Europe. It has become well known as an international center for chess because its former President, Kirsan Ilyumzhinov, is the head of the International Chess Federation. Officially a Republic, is a country in Central Asia, it is the world's largest landlocked country by land area and the ninth largest country in the world.The terrain includes flatlands, steppe, taiga, rock canyons, hills, deltas, snow-capped mountains, and deserts. The capital is Astana. The Republic of Latvia, is in the Baltic region of Northern Europe. It is bordered by Estonia,Lithuania, Russia and Belarus. It is a member of the European Union and the capital is Riga. Officially the Principality of Liechtenstein is a doubly landlocked alpine country in Central Europe bordered by Switzerland and Austria. Its capital is Vaduz. The Republic of Lithuania in Northern Europe, is the largest of the three Baltic states. Its capital and largest city is Vilnius. Officially the Grand Duchy of Luxembourg is a landlocked, bordered by Belgium, France and Germany. It is a representative democracy with a constitutional monarch, headed by a grand duke and is the world's only remaining grand duchy. Is the other special administrative region of the People's Republic of China (PRC). Macau lies on the western side of the Pearl River Delta across from Hong Kong.The territory's economy is heavily dependent on gambling and tourism. A former colony, administered by Portugal from the mid-16th century until 1999. It was the last remaining European colony in Asia. Lies in the Mediterranean Sea, south of Sicily and north of Libya. The capital of Malta is Valletta. Malta gained independence from the United Kingdom in 1964 and became a republic in 1974. Malta has entered into the United Nations and the European Union. Officially a Republic, the island nation is situated in the Indian Ocean off the southeast coast of the African continent. The country includes the islands of Mauritius, Rodrigues and the islands of Agaléga and Saint Brandon. Its capital is Port Louis. Is one of Canada's three Maritime provinces and is the only province in the Canadian federation that is constitutionally bilingual (English–French).Fredericton is the capital. A state in the New England region of the United States of America. Bordered by Massachusetts, Vermont, Maine, the Atlantic Ocean and the province of Quebec in Canada. It became the first British North American colony to break away from Great Britain in 1776 and was the first U.S. state to have its own constitution. Is a state in the east of Australia. It surrounds the whole of the Australian Capital Territory and the capital city is Sydney. A state in the Northeastern region of the United States often referred to as New York State to distinguish it from New York City. It is bordered by New Jersey, Pennsylvania, Connecticut, Massachusetts and Vermont. A maritime border with Rhode Island and an international border with the Canadian provinces of Ontario and Quebec. An island country in the southwestern Pacific Ocean. Comprises two main landmasses, the North and South Islands as well as numerous smaller islands. It was one of the last lands to be settled by humans. A federal Australian territory in the centre and central northern regions, the capital city is Darwin. Other major settlements are Palmerston, Alice Springs, Katherine, Nhulunbuy, and Tennant Creek. Officially the Kingdom of Norway, a Scandinavian unitary constitutional monarchy which is a member of the Schengen States. It is home to its famous fjords and the Northern Lights can be seen from the northern most point at certain times during the year. The capital city is Oslo. A province of Canada, located in east-central Canada. It is home to,Ottawa, the nation's capital city and to Toronto, the nation's most populated city. A state in the Pacific Northwest region of the United States. Salem is the state's capital and Portland is the most populated. Known as the Republic of the Philippines, is a sovereign island country in Southeast Asia in the western Pacific Ocean. With close proximity to Taiwan, Vietnam, Borneo and Indonesia. It is located in the Pacific Ring of Fire an area prone to earthquakes and typhoons. It comprises of 7,107 islands and its capital city is Manila. Officially the Portuguese Republic, is located in Southwestern Europe, on the Iberian Peninsula. It holds sovereignty over the Azores and Madeira archipelagos in the Atlantic. The Capital City is Lisbon. Is the southernmost country of Central America, situated on the isthmus connecting North and South America, it is bordered by Costa Rica and Colombia, the capital is Panama City. Panama's jungle is home to an abundance of tropical plants, animals and birds – some to be found nowhere else in the world. Officially known as the Russian Federation it is located in northern Eurasia and is the largest country in the world spanning nine time zones. It incorporates a wide range of environments and landforms and the capital of which is Moscow. Located in the Leeward Islands, is a federal two-island country in the West Indies. It is the smallest sovereign state in the Americas, in both area and population. The capital city is Basseterre situated on the island of Saint Christopher (Kitts). These islands were among the first islands in the Caribbean to be settled by Europeans. An island country consisting of a 115 island archipelago in the Indian Ocean, east of mainland Africa. It has the smallest population of any African state is a member of the African Union.The Capital is Victoria. Is a landlocked state in Central Europe, boardered by the Czech Republic, Autria, Poland, Ukraine and Hungary. The capital is Bratislava and it is a member state of the European Union.It became an independent state on in early 1993 after the dissolution of Czechoslovakia. Officially the Republic of Slovenia. It borders Italy, Austria, Croatia and Hungary and is a member of the European Union. Its capital and largest city is Ljubljana. The Republic of South Africa, is located at the southern tip of Africa. It's coastline stretches along the South Atlantic and Indian Oceans.It's neighbouring countries are Namibia, Botswana, Zimbabwe, Mozambique and Swaziland. Lesotho, is an enclave state. It is a multi-ethnic society celebrating a wide variety of cultures, languages, and religions. Officially the Kingdom of Spain, a sovereign state and a member state of the European Union. It is located on the Iberian Peninsula in southwestern Europe. It's border with Portugal is the longest uninterrupted border within the European Union and it's capital city is Madrid. Officially the Kingdom of Swaziland, is a landlocked country in southern Africa, bordered by South Africa and Mozambique. It is a small country that has been continuously inhabited since prehistory. It gained independence from the United Kingdom in 1968. It is a member of the African Union, and the Commonwealth. Is a Scandinavian country in Northern Europe bordering Norway and Finland, it is connected to Denmark by a bridge-tunnel. An active member of the European Union and its capital city is Stockholm. Know as the Swiss Confederation with Bern as it's capital, situated in Western Europe it is bordered by Germany, France, Italy, Austria and Liechtenstein. It is landlocked and divided between the Alps, the Swiss Plateau and the Jura. The country has a long history of armed neutrality—it has not been in a state of war internationally since 1815. Officially a state of the Republic of China it is an island state, formerly known as "Formosa", it consists of the islands of Taiwan, Penghu, Kinmen, Matsu, and some minor islands. Neighboring states include Japan and the Philippines. Taipei is the political capital as well as the economic and cultural centre. Is an island state and a part of the Commonwealth of Australia, located to the south of the Australian continent. The state includes the island of Tasmania and the surrounding 334 islands, its capital city is Hobart. Situated in Eastern Europe it borders the Russian Federation, Belarus, Poland, Slovakia and Hungary as well as Romania and Moldova. With a very colourful history of takeovers and wars the Ukraine finally became independent again when the Soviet Union dissolved in 1991. The United Kingdom of Great Britain and Northern Ireland, is a sovereign state located off the north-western coast of continental Europe. It consists of four countries namely England, Scotland, Wales and Northern Ireland. Its capital city is London, it is one of the Commonwealth Realms and it has fourteen British Overseas Territories. Is a federal republic consisting of 50 states. It is situated in central North America between Canada and Mexico with it's capital city being Washington D.C.. The country also has five populated and nine unpopulated territories in the Pacific and the Caribbean. The U.S. is also extremely diverse, with deserts, plains, forests, and mountains that are home to a wide variety of wildlife. An island nation located in the South Pacific Ocean, an archipelago that is volcanic in origin. Previously know as Espiritu Santo and the New Hebrides. With Spainish, British and French invasions it's independence was secured in 1980 when it officially became the Republic of Vanuatu. Officially called the Bolivarian Republic of Venezuela, it is situated on the northern coast of South America. It is considered a state with extremely high biodiversity, with habitats ranging from the Andes mountains to the Amazon Basin rainforest, with extensive llanos plains and a Caribbean coast. It was colonized by Spain in 1522 and securely established independence in 1821. Is a state in the south-east of Australia and the most densely-populated in the country, its capital city is Melbourne. With Great Britain having claimed the entire Australian continent in 1788, Victoria was officially created as a separate colony in 1851. Officially the Commonwealth of Virginia, is a U.S. state located in the South Atlantic region of the United States. The capital is Richmond and in 1607 the London Company established the Colony of Virginia as the first permanent New World English colony. A state occupying the entire western third of Australia, achieved self-governance in 1890, later federated with the other British colonies in Australia in 1901. It is the second-largest iron ore producer in the world. It is a province in south-western South Africa. It's capital and its largest city, is Cape Town,the province was created in 1994 when South Africa's current provinces came into being. 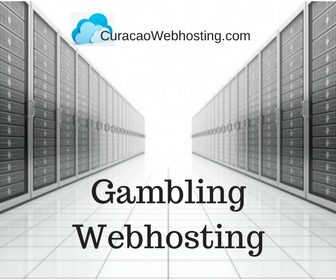 Where can I host my gambling website?